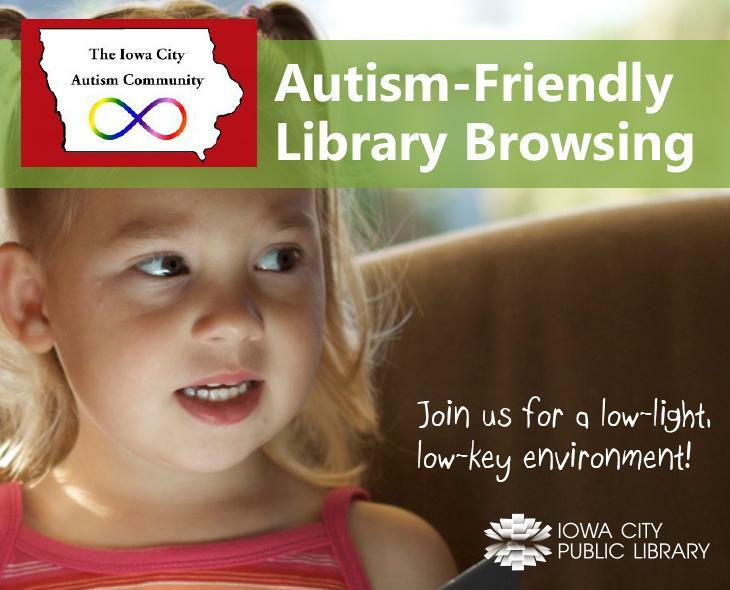 On selected days, the Library will open one hour early for individuals with autism and their families to enjoy the library together in a neutral environment. For children we will have some hands-on and fun activities and a Bubble Show by The Grout Museum in Meeting Room A. The Teen Room will be open for teens to play computer and video games. Therapy animals will also be on hand to wander through the library giving support and friendship. The library will also use natural lighting throughout the library to accommodate those with light sensitivity.